@ModMan‌ Any luck with TESO? Or have we another video to look forward to? @noblebrutus Unfortunately TESO didn't work out. We attempted to have that demo out before E3 but the game wouldn't recognize any external controllers. (Wii motes or Xbox 360 controller) However, our newest demo will be released tomorrow! It's a Minecraft demo on the WesterosCraft Game of Thrones server. @ModMan‌ You should use an emulator, personally I use Pinnacle game profiler but I've heard xpadder works well. They can map the 360 controller to the keyboard. Looking forward to the new video, any progress on any of the other suggestions here? @NobleBrutus I believe TESO had a recent patch that disabled Xpadder as well because that didn't work out either. We actually just uploaded our new Minecraft demo on the WesterosCraft Game of Thrones Themed server today and have about 3 more demos lined up before we start looking for more. But I've been reading all of the suggestions and definitely will prolong our next FPS game. Very good video, you can easily see the Omni latency issues have become all but non-existent compared to earlier videos. Very exciting. I'd be surprised if it was possible for them to block Xpadder (since it emulates a keyboard) but who knows. Did you have it on as a 'persistent profile?' Otherwise the fact it has a separate launcher could interfere. According to this post on the oculus forums https://developer.oculusvr.com/forums/viewtopic.php?f=42&t=7619 you CAN get TESO to work on the rift at least with 3D working. ^---- So check that topic out and see if you can get it working too like how the thread starter supposedly was able to. @Oceanos‌ I believe the issue we were having with TESO is not with the Rift but with the expected input (TESO will not recognize anything but keyboard). Thanks for the suggestion, perhaps we will be able to get it working for a future demo. Outlast? Would be so awesome. Just wanted to update you guys on our new demo we should have up by tomorrow if not later this week. 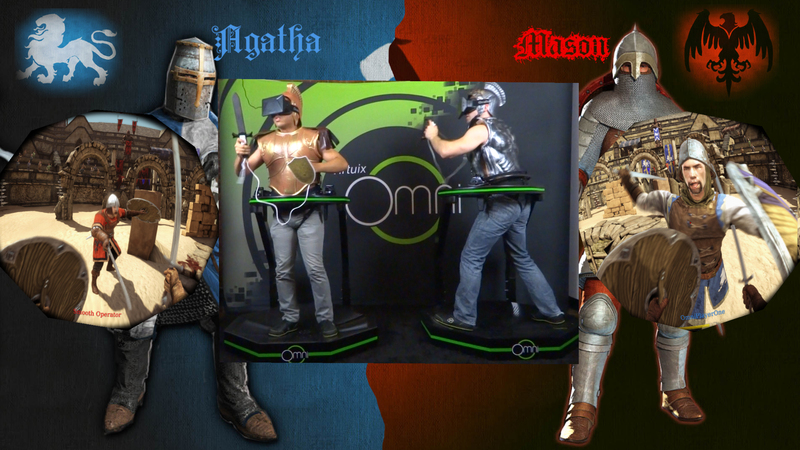 We were able to get the oculus rift working while using the wii remotes on two omnis with chivalry medieval warfare. 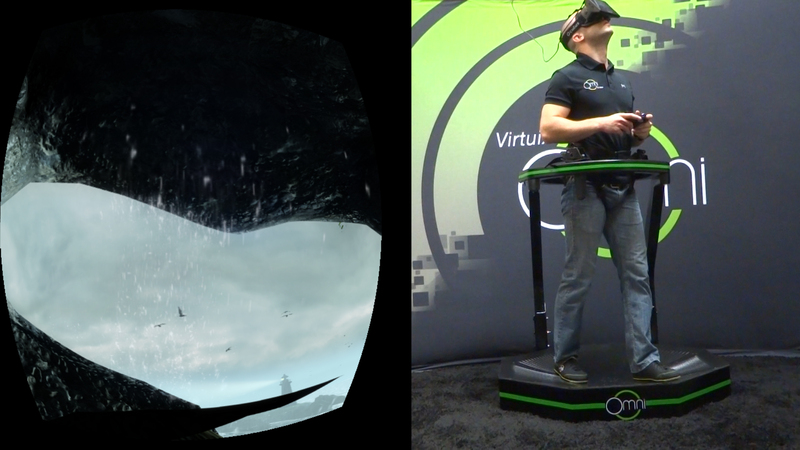 This was definitely one of my favorite demos to shoot and really excites me for the future of gaming online in VR. What are the names of these two chivalrous Omni warriors? @Dev_Guy_Robert They are only known as Sir Adams and Sir Geloneck. Our new demo goes live tomorrow! We play through The Gallery: Six Elements! You should demo dark souls 2. That would be extremely interesting. From my understanding the omni can measure each foot stride right? Can you show an original demo of long running strides vs short stealth steps? I've been wondering if something like dreadhalls or really any game with a sprint / walk / stealth aspect can have varying speed levels based on user speed. Even a simple kph or mps display as the demonstater walks / runs would be nice to see. @llynch1998 i agree, will put that on the list! @l1nc Once we're able to get some Omni's to developers (soon) then we can begin integrating exactly what you mentioned because it is definitely possible as long as the game played is developed to support it. Once that's done, i'll make sure we have a demo up asap! Definitely adding this to the list of demos! 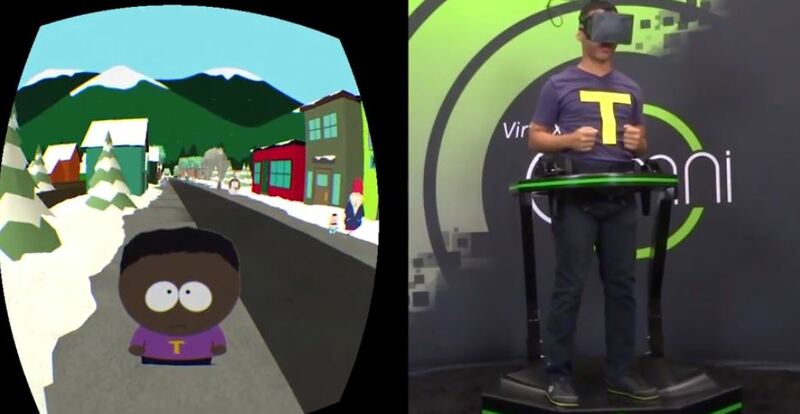 Our South Park demo is now live! what is next omni demo? ? MODMAN HOW ABOUT NBA 2K15? Will the omni be compatible with the ps3 or 4 console and its games? And will sports be playable too? @sedred, the Omni will work with any PC game currently. Hopefully support for consoles can be arrived at. 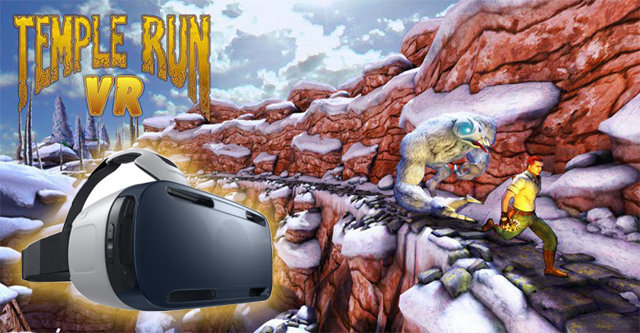 With the buzz around VR, look out for sports games built specially for VR HMDs, motion controllers and of course the Omni treadmill, as these will give you a significantly greater level of immersion than an adapted game would. Taking basketball as an example. With a wrist-worn tracker you could bounce the ball at your side without even looking at it, you could run forward with the Omni, look up at the ring with an HMD, and if you have one with built in cameras, or you've added one separately (like Leap motion or Nimble Sense https://www.kickstarter.com/projects/nimblevr/nimble-sense-bring-your-hands-into-virtual-reality) you could see your characters' hands mirroring your own right down to precise finger movements, helping you to pull off some brilliant shots. Very exciting times ahead! I cant wait till it compatible with game consoles!! I think dead island would be amazing!!! I would like to see more Skyrim videos. Longer ones, of extended playthroughs. Say, about an hour long. If possible incorporate the use of the Sixense STEM system for independent control. This is basically my primary reason for wanting the Omni. Failing that, or aside from that, Fallout: New Vegas, using the rifle controller. I think evolve might be neat to play.